The Original LG 250cc Everest takes the Market! 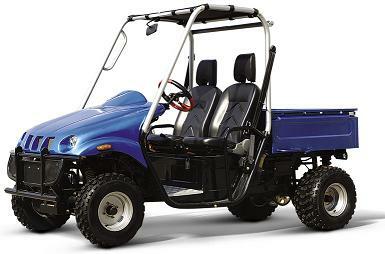 We've been selling these UTVs and ATVs for the past 5 years! We do more business than any retail scooter business online! You will be extremely excited once you receive the 250cc LG Everest because it has what other competition on EBAY does NOT! Sure there are others out there claiming or selling models that look the same, however the quality is just not there! Every single bike comes with a warranty that is fully backed leaving you with NO RISK involved! Call us for sources, we have sales reciepts, and have done over $1,000,000 in business in just one month. Now ask others sellers if they have done that and can prove it! Check out other competition and the give us a call once you have made your decision. Answer: Yes, all the utv's that I sell have shocks! There are pictures to prove it!Why don't you show a picture of the front of your unit? 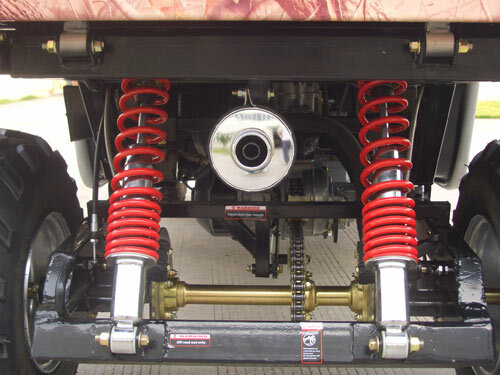 Do you have independent suspension? Answer: Absolutely! If I didn't sell them with indipendent shocks, you would have the most UNCOMFORTABLE RIDE! How big is your UTV? Answer: Please look at the pictures below. Max Torque Feel it for yourself!!! Seat Height Plenty high for an adult! Tires All Terrain Serious Tires! Warranty Call (708)669-1237 Standard 30 Day! Available 6 Month or 12 Month! LG 400cc Utility SHAFT DRIVEN ALL WHEEL DRIVE! !